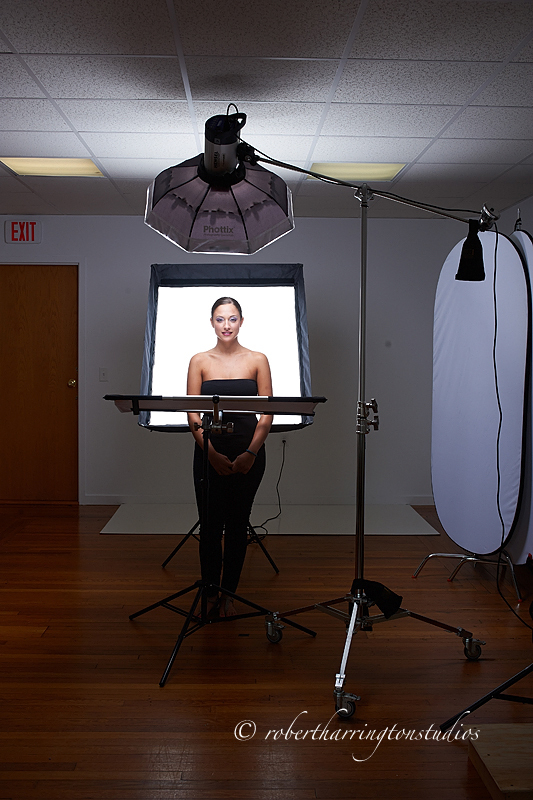 This Thursday is the strobe light workshop at Foto Care in NYC. Event though this is a Hensel sponsored event, all the techniques we cover can be used with any strobe or even speedlights. We start at 10, lunch about 1, and go till 4, shooting all the way. So bring your camera, models and lights are supplied. I’m always looking for new ways to light my subjects. I found this two light, high key setup on the Scott Kelby website, and he got it from a photographer in the Mid West: Mary Duprie. This is a unique take on clamshell, over and under, or the straight up beauty shot. You only need two lights and a reflector for this one. The idea is to set your lights at 45 degree angles to one another, move your subject right up to the edge of the backlight, and then adjust your reflector up or down as needed. The key light and reflector light the subjects face while the backlight gives you the high key effect but also adds edge light to under the sides of the face for extra light on the face and extra separation. You need a large softbox on the rear so that the subject is covered by the light. I set my back light up and then adjust the height so the top edge is out of the frame. 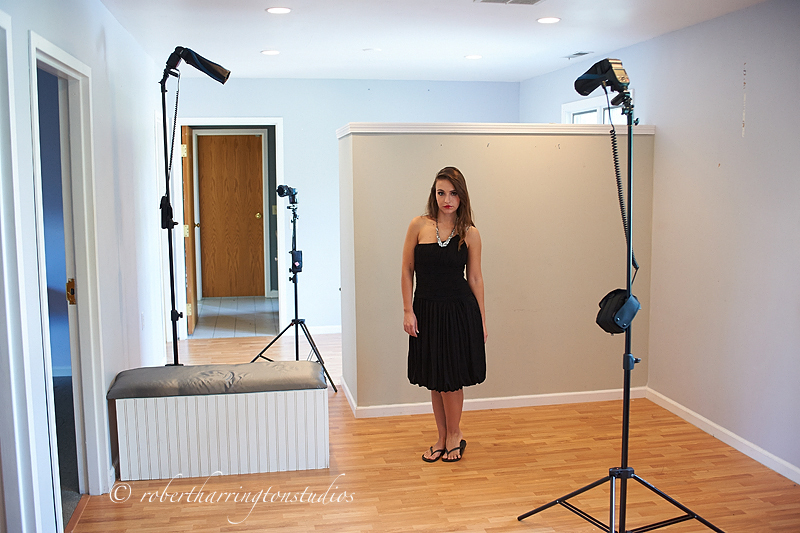 Notice how the model is close to the rear softbox and the reflector is located mid torso. Silver reflectors add a lot of fill and contrast so you need to pay attention to its final location for the shot. Be forewarned, sometimes the light from the rear can add too much milky, soft contrast to the image. In this case, simply in Lightroom, ACR, Capture One, or whatever raw converter you are using, grab the black slider and increase it just a touch to get rid of the milky softness and contrast. I was lucky and didn’t need to do any of that. This is a direct, straight-out-of-the-camera raw to jpeg conversion: no post processing at all. You can see how the back light adds definition to the lower cheek, chin area. The result is nearly perfect right out of the gate! If you are attending Foto Care this Thursday, we are going to do this look! So take a day off of work and join me for a great day of shooting and learning. That’s it for now. Till next time, keep it beautiful! Over the weekend I ran a small, intimate workshop on the Hollywood Glamour look of the 40’s, in the style of George Hurrell. 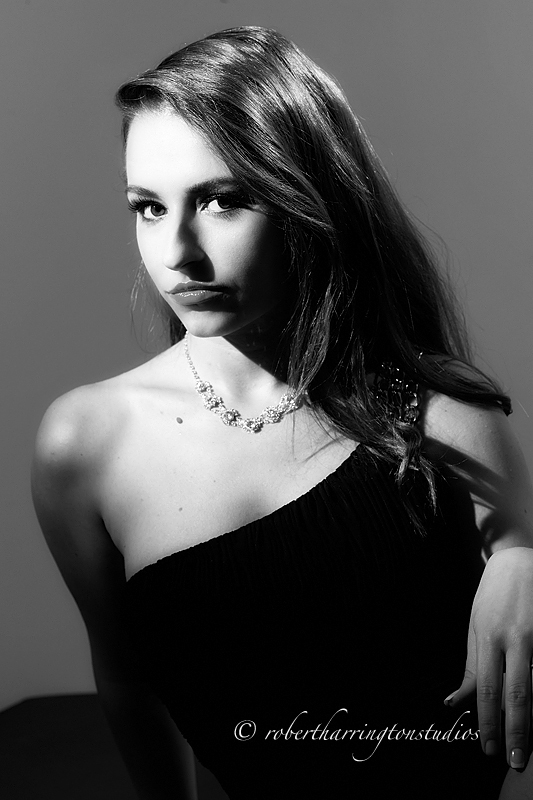 I shoot this look with three speedlights for hard and contrasty light on my subject for deep shadows. I try to replicate the look of the hotlights of the era. All my lights are set at 1/4 power in manual mode to start and then I adjust from there. Here’s the bts with the lights firing. I finished the image in Photoshop using Totally Rad Actions Portrait Retouch V2, used Totally Rad Actions Bitchen B/W for the conversion, and Nik Color Effex Pro for a glamour glow. This is a great and fun technique that really emulates the work of the Hollywood b/w era. I am going to try and shoot this look this weekend at Berger Camera if there is time. If you are in NYC or LI, swing in to Berger Camera in Huntington and join the workshop there. It’s a shooting workshop, so bring your camera! That’s it for now. Till next time, think in black and white! Just a quick re-post and note. If you would like to attend any of these events, simply click the links provided. Each event is held at the location that is hosting us except for Photo Connections. We’ll be shooting at Zagray Farms for that one. The Fall is shaping up nicely for workshops and presentations. Here’s an updated list for September. I’m going to try and do this by month now, so stay tuned. 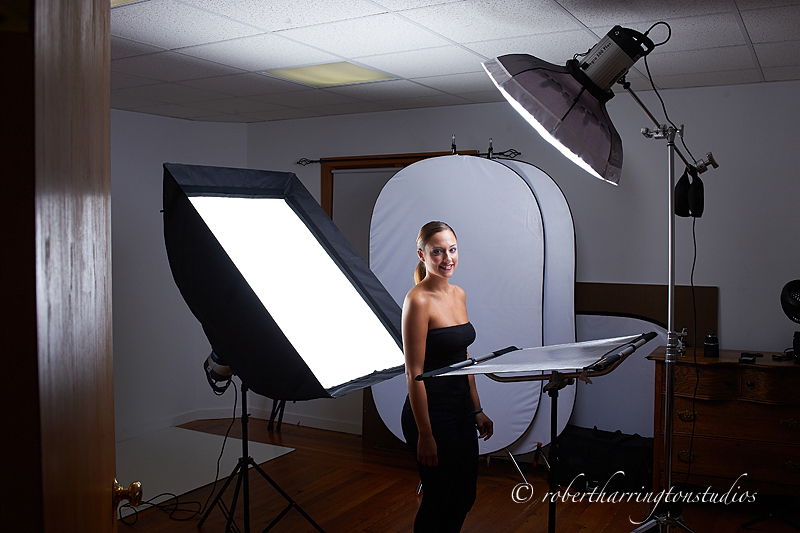 If you are interested in getting great results from your on camera flash, then join me in studio this Saturday! Join me for a full day of strobe lighting with two models and lunch provided. 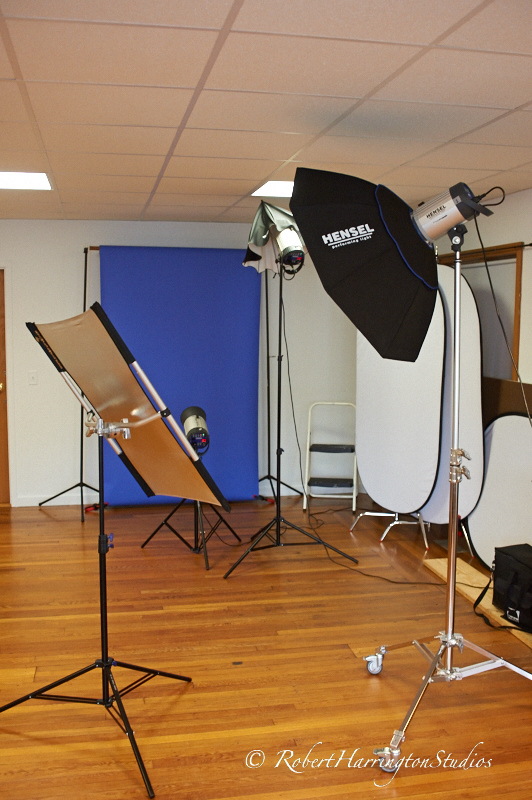 Bring your camera to shoot with the Hensel lights, softboxes, grids, etc. I’m huge fan of speedlighting, but with my new agreement with Hensel I’ve been shooting strobe more and more. 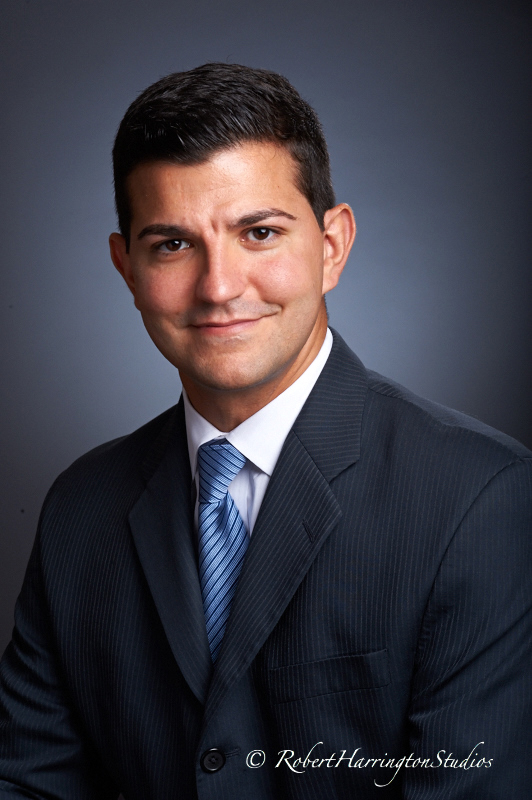 In this 3 light corporate headshot, I used the Hensel 3 light kit. 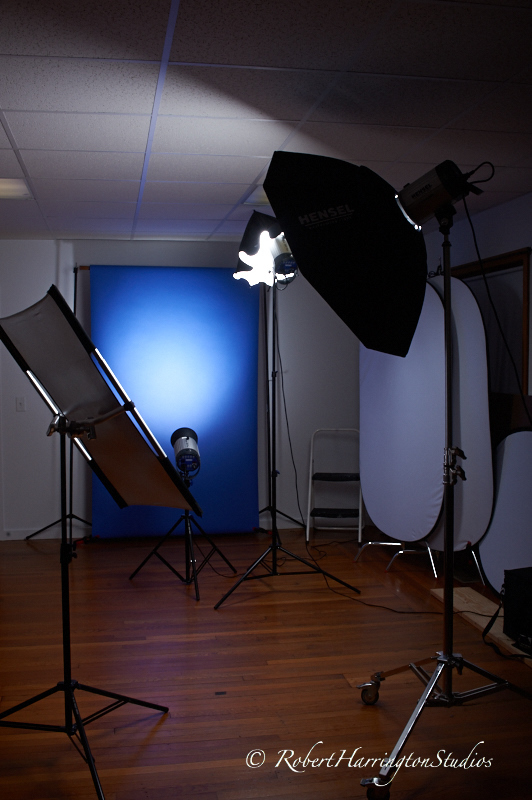 In the BTS, I substituted a blue background instead of gray as you couldn’t see the backlight on the gray backdrop. Back light is a Hensel Integra 500 with a 30 degree grid. On the backlight, in order to really control output I place a neutral density filter over the light to draw the output down and then have much more control over it’s overall output later on. On the left is my California Sunbounce Micro Mini mounted to a lightstand. I love the Hensel Strobe wizard as I can control 1 or all 3 heads with the supplied radio trigger. And here’s a straight-out-of-the-camera initial proof delivered to the client on Wednesday. Everything worked flawlessly. I shot tethered to my laptop so we could proof and adjust as we went along. Nikon D3, 105 f/2 DC Lens. That’s it for now. Till next time, happy strobe lighting! That’s it so far for September 2013. Stay tuned for October and November coming soon! The Nikon 105 f/2 DC or Defocus Control Lens is a lens that’s been sitting on my shelf for quite a while gathering dust. My favorite lens, the 70-200 vr, dominates my work and gives me fabulous results. But, with traveling so much now, I decided to dust off the 105, remove the 70-200, and lighten my bag a bit. The 70-200 is a monster, but the tiny 105 is so much smaller and lighter that it really helped out when lifting my Tenba roller into an airplane’s overhead compartment. 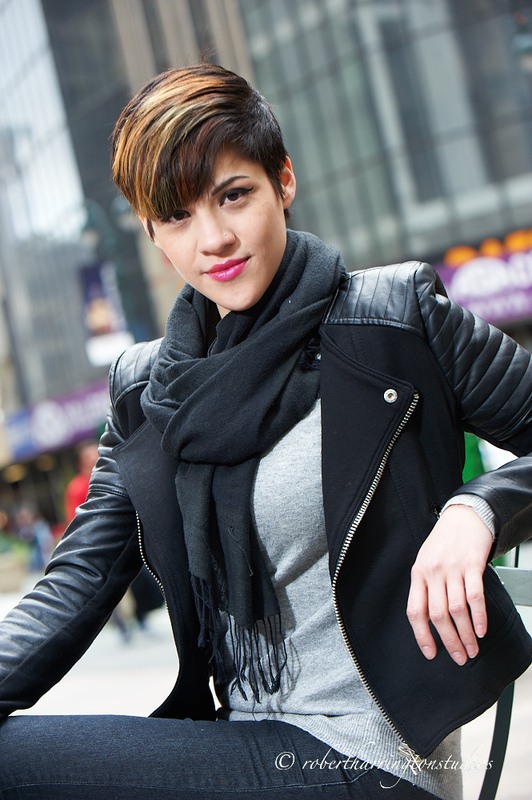 The 105 is a specialty lens designed specifically for portrait work. The Defocus control allows you to control the Bokeh or out-of-focus areas in the background and the foreground or creating a soft focus effect on the foreground it you want. I usually keep the defocus ring set to Zero, for no effect, or f/2 on the Rear, so I can shoot at any aperture and get a background that looks like f/2. If you don’t shoot a great deal of portraits or headshots, then the lens is not worth the expense. It is brutally sharp, like macro sharp, and renders out-of-focus backgrounds perfectly. From f/2 on, it is the perfect portrait lens. It has an bigger brother, the 135 DC, but I find the 105 to be just right. You have to remember, though, that as a prime lens, you need to zoom with your feet! 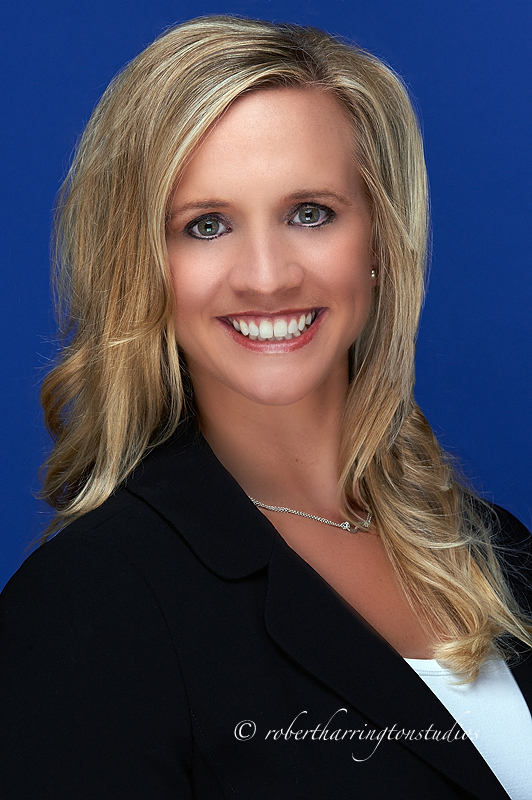 In this corporate shot, my aperture was f/11 in camera but the DC ring was set to f/2. With my subject only about 3 feet from the blue paper backdrop, the foreground is perfectly sharp and the background falls out of focus immediately, eliminating the need for any softening in post process. The lens really shines as a natural light lens. I dug through my archive to pull these proof shots out. Shot at f/4.5 at ISO 800 and with the DC control set to f/2, Stacey’s eyes are perfectly sharp and yet the falloff from the Defocus control is perfect. She was sitting in an alcove at my studio only 2-3 feet from the walls and yet they fell right out of focus immediately. I did a quick zoom with my feet, that is I stepped closer, and got this tight headshot. This is an awesome lens! As I rarely do gear posts, you can Google it for copious reviews online. I think the reason it stayed on the shelf is the fact that I got lazy. Why move when you can just zoom a lens? That’s it for now. Till next time, happy zooming!